Town too boring? Looking too much like all your other neighbors? Why not add a few unique items that YOU create to give your town a custom look, not too mention it will make your neighbors envious…. 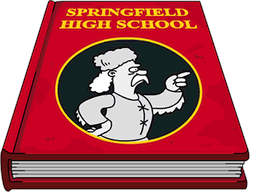 Springfield Showoff…Your Towns, Your Designs! 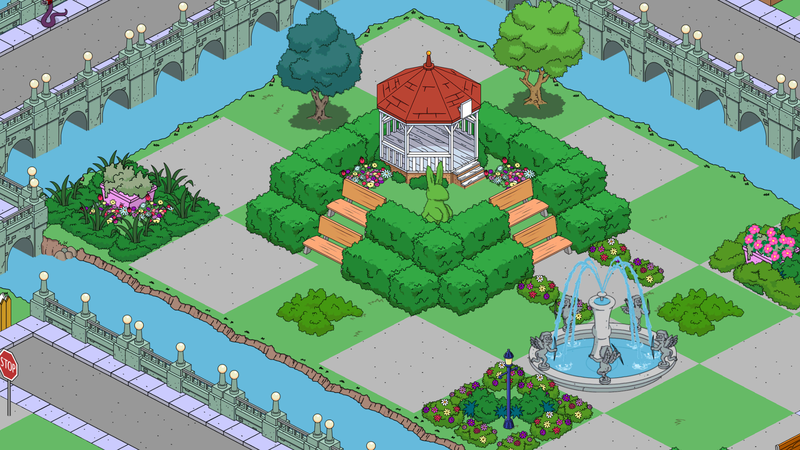 Images, designs, and/or words that lay flat in your TSTO towns. This could be as simple as writing a name to the extreme of using over 1000 decorations to make an intricate photo across your land. The items seem to flow seamlessly into your land. These type of designs usually take up just the area you predetermine. You can also use the “wording” to leave a small message to a neighbor (if you are not in contact in one of the blogs/social sites already). Something like, “Hi, Joe!” It adds a little more options and a fun way to communicate that is currently not available in the game for us (hint hint EA). Decorations that seem to almost grow out/pop out of your land. Rising anywhere from a little bit to several stories into the air. You can make a building look like it is on a higher level than the surrounding ones, make water appear to flow from a mountaintop down into a lake below, make steps leading up up up into a location or down down down under ground. You can also make extra building or structures that you are wanting, but are not available in the game. 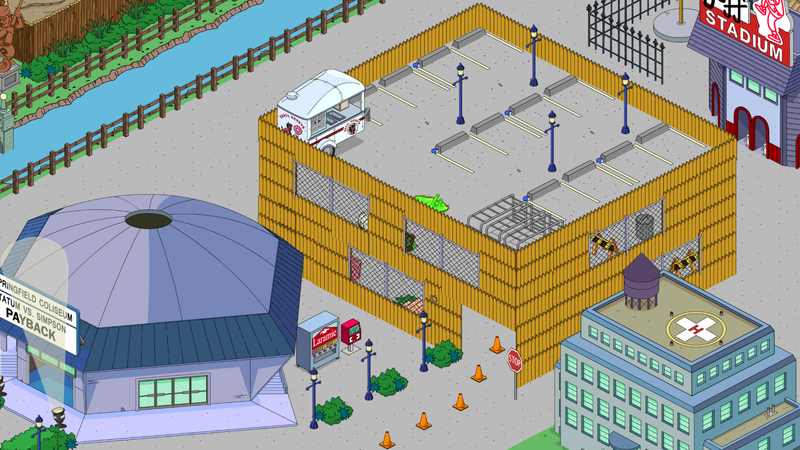 Like a parking garage, addition to a house, or extra wings/rooms for the hospital. Many times this type of design takes up a large amount of land due to you need the space to make the “step-up” or “step down” to another level. You can always mix the 2D & 3D together. Either way, they add a unique look to your town. The possibilities are endless. They also help to make your town stand out from the others. So no one does these for others? Lol. Many have asked me. It’s just very risky on both players parts to give someone access to your town. 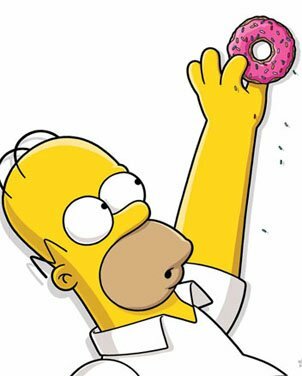 They could sale everything and use all your donuts and $$$. any comments how to fix this up a bit? this is my first shot at 2D..
Biggest challenge is rounding out corners and still making it flow OK. You did well. EXtra options IF you want to try them…. If you have any propane tanks you can use them for the white in his eyes. The top left corner maybe curve in a lil more up top. Try newspaper dispenser for red in the nose instead of trash bins. Would you like to do it for me? I’d love to… what are u looking for…. Some are more just pics taken from our towns. The main jist of them is in the basics of 3D. These are Amazing! I had to “borrow” a few of the ideas I’ve seen here..It’s given me quite a bit of inspiration. Thanks to you all. I am So glad I found this site. The people are wonderful and the content is Fantastic! A HUGE thanks and BRAVO to the Admins and contributors of this page! Use any to your hearts desire and always feel free to share your results if you’d like. Q: When the special themed events happen, how much stuff do you buy so that you have “enough” for future possible designs? Kinda hard to guage for a newbie that wants to eventually add that aspect. Ummm… a LOT. Like in the 1000 of walls n such. It all depends on what I think I can use it for. Color palette. Me? No, no degrees. I just always created things since I was really really lil. I have pictures in my head and try to find ways to put them to paper, or in this case, into my towns. Lol. Hey guys. 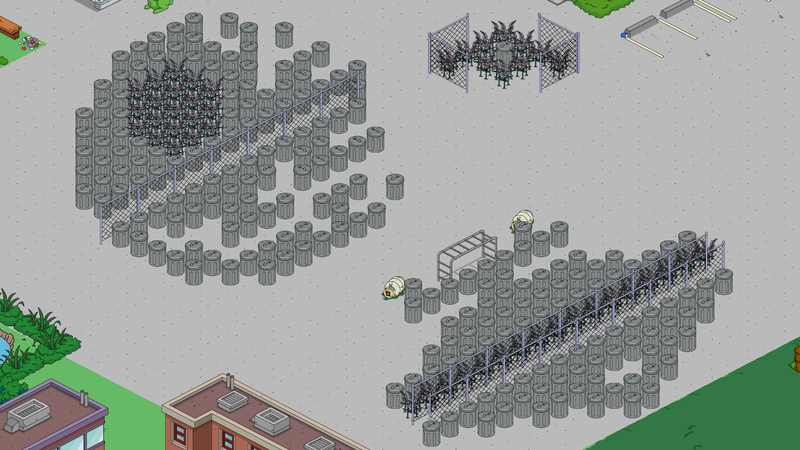 I tried to make a 2D Fry in my town but I’m not so happy with the results. I couldn’t find a way to post a picture on here but I could use some tips on 2D construction and the like. I’d also like to make Blinky too if you have any suggestions on that one :). Thanks for all you guys do. Ps how do I make an account on here? So many questions. Awesome! For pics, are you looking to just link them or send them or take them? We can help with all. I just got Squeaky voiced teen in my weekly mystery box!!! Woohoo!!! That’s how I got him too. Still hoping for Moleman. Nicely done. Careful, this designing is as addictive as the game itself. Hope your plane doesn’t become a restaurant!!! Fish & chips…hey Alissa…happy Gil-Day!!! 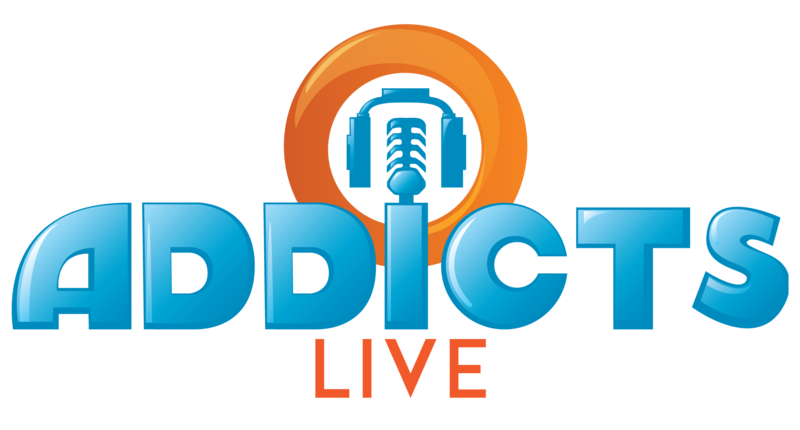 Can you list all of your “the addicts” user names? Or are they listed somewhere on the sight? 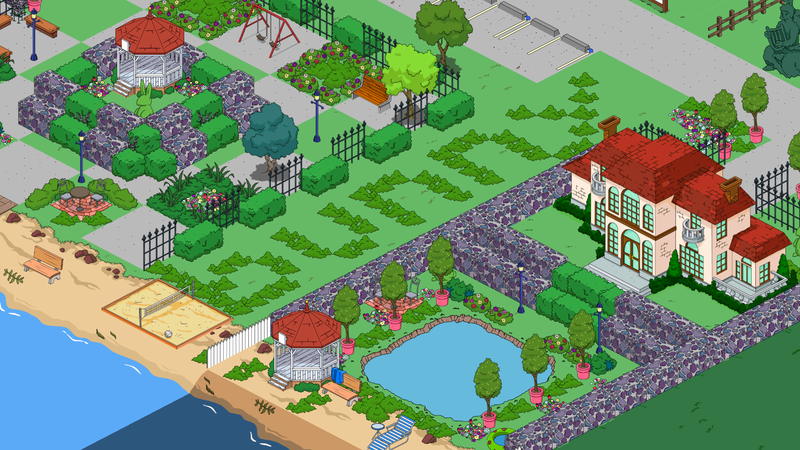 I would love to add you all and see what your springfields look like.